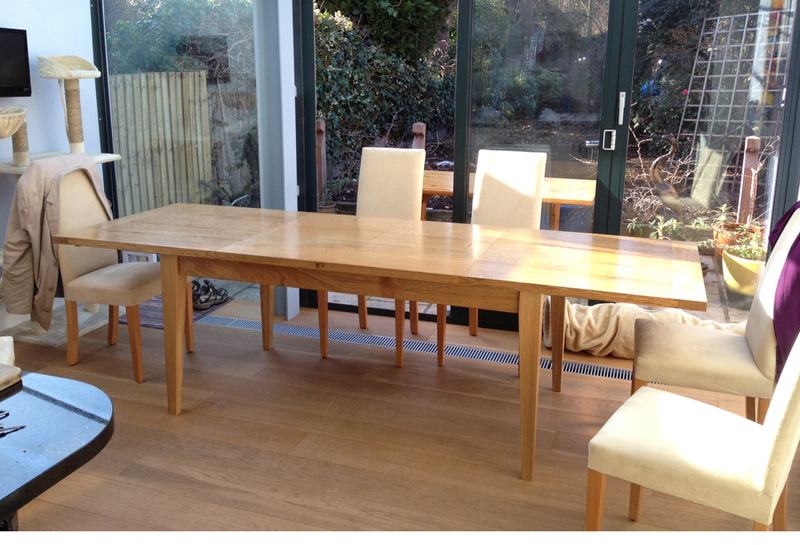 This extending table is able to seat up to ten but folds down to seat eight or six by removing one or two of the extra leaves. 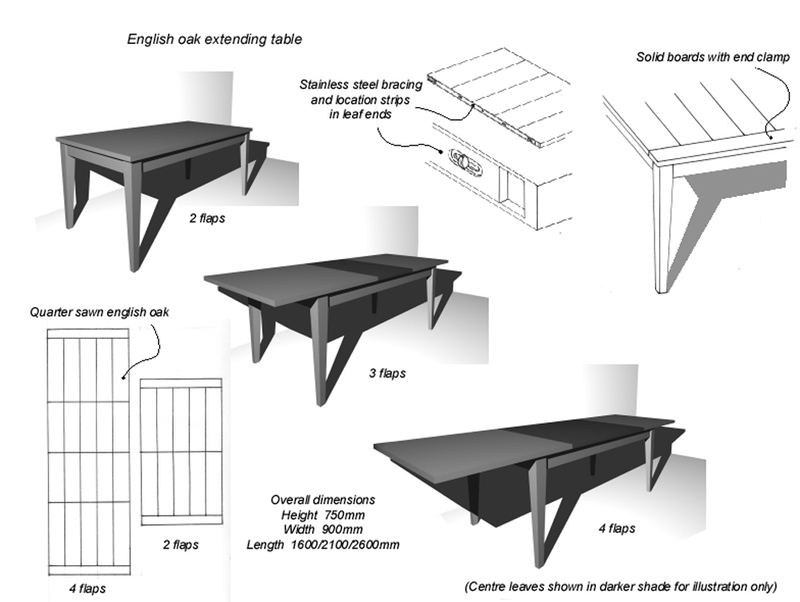 The leaves when not in use are stored in the body of the table and simply clip into place when needed. The legs are tapered for greater refinement, avoiding a “boxy” feel. I was happy to make this piece in quarter sawn English oak with a profusion of stunning medullary rays, which as well as being beautiful helps the piece remain stable in a centrally heated home.